Whether you are into fantasy cards, sports cards or movie cards you can create a game that you play with your friends. The pieces of the puzzle that you need are the same no matter what genre you collect in. Here are some tips on how to make a trading card game. Create a core set of cards, which will become the game pieces to the entire game. These cards should include characters, these are the "players" of the game and "action" cards that will delineate the game play once it begins. Assign a point value or worth to your character cards. For instance, in many fantasy games, there are characters from Kings down to serfs and everything in between. By assigning a point value to these cards, you are then giving them a hierarchy and the players something to strive for. It should also be noted that the power structure should be in the form of a pyramid. For instance, you will have one King, a few Lords and many serfs if you were creating a game with a royalty system. If you are creating a game using sports cards, the players with the best stats would be the ones that are the most important. Decide on the rules of the game. There are many different ways to create a rules subset. 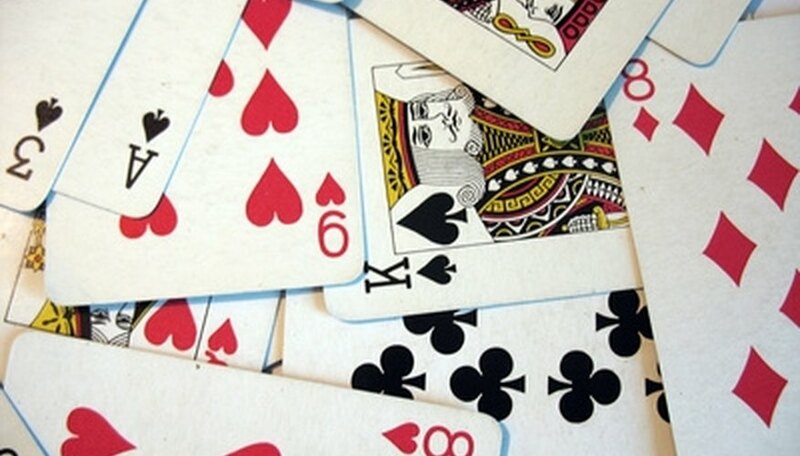 The game can be as simple as "pitching cards" where one player pitches a card against the wall, the next player tries to pitch his card on top of the other, and if he is successful, he keeps the card. The game can be as complicated as an entire world you create that has Nations, economies, global issues, environmental concerns and more. The important part of creating the rules is that there can be a decisive winner. This means there should be an ultimate goal. In pitching cards, it's to get all of the cards in your stack, in the "world" example, it can be to rule the planet. Purchase a few collectible card games and study them to be sure that your game is shaped correctly. Once you have created the general landscape of your game, it's good to play a few others to make sure that yours is on par with some of the others that have been produced. You may also pick up a few tips and add things to your game, such as special powers to characters, story lines, or if you have a sports-themed game, coaching decisions, player drafts and more. Always buy 2 sets of cards if you are a true collector. The cards will get bent, used and otherwise scuffed during game play. This will decrease their value, so play with one set and keep the other in mint condition. Start a club and create the game together. This way after you've finished creating the game, you have someone to play with. This is a great site to buy and learn more about how to make a trading card game. Pick up trading card games here.